THIS LIST WON’T OFFER ANY BARGAIN OPTIONS FOR EATING OUT. IN FACT THE EXACT OPPOSITE, THINK SUPER PRICEY INCREDIBLE FOOD. THIS LIST IS FOR WHEN YOU DESERVE A TREAT & YOU’VE GOT CASH TO SPLASH. THE BELMOND HOTEL CIPRIANI HAS SEVERAL SPOTS TO FEAST IN. OUR FAVOURITE (& MOST EXTRAVAGANT) WAS ORO. THE MICHELIN STARRED RESTAURANT SERVING THE MOST AMAZING A LA CARTE AND TASTING MENU WITH INCREDIBLE WINE TO BOOT IS CERTAINLY A PLACE TO CELEBRATE IN. THIS IS AN ABSOLUTE MUST TRY IF YOU’RE GOING ALL OUT. 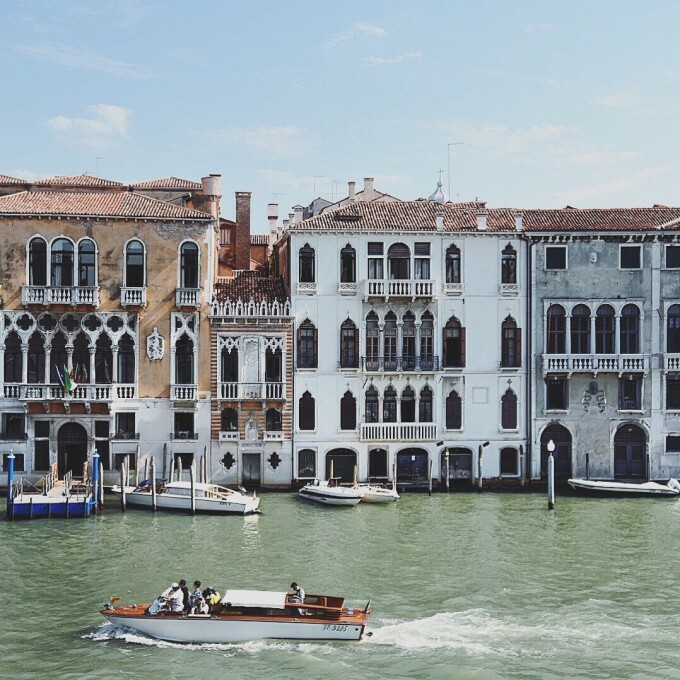 TAKE THEIR 24HRS SHUTTLE BOAT FROM ST MARKS SQUARE OVER TO GIUDECCA WHERE THE HOTEL IS SITUATED. ENJOY WATCHING THE SUNSET OVER THE WATER WHILE EATING POSSIBLY THE MOST CRAZY DELICIOUS FOOD GOING IN VENICE. THIS LUNCH SPOT SERVES UP HOMEMADE INCREDIBLE PIZZAS, FRESH FISH PLATTERS AND OF COURSE PASTA. WHEN RESERVING YOUR TABLE BE SURE TO REQUEST ONE OF THE TABLES RIGHT ON THE WATER TO MAKE THE MOST OUT OF THIS DINING EXPERIENCE. IF YOU SHOULD FIND YOURSELF IN NEED OF PIZZA THEN HEAD HERE. THE OWNER BRINGS THE FLAVOURS OF AMALFI TO VENICE. PIZZAS ARE PRETTY GREAT HERE, HOWEVER PASTA (THERE’S A GENEROUS SELECTION OF VEGETARIAN PASTAS ON OFFER) IS WELL WORTH A TRY TOO. WE WATCHED AS ANOTHER TABLE WERE SHOWN A LARGE SEABASS PRIOR TO IT BEING COOKED SO FISH IS PROBABLY A GOER HERE TOO… A SENSE OF FORMALITY AND OCCASION MAKES FOR A FUN PLACE TO HEAD TO. THE PIAZZA WHERE IT’S POSITIONED IS BEAUTIFUL. EXPECT SLIGHTLY MARDY SERVICE, WHICH IS MADE TOTALLY WORTH EXPERIENCING FOR THE FOOD YOU’LL EAT. IF I HAD A CHOICE I WOULD HAVE NEVER LEFT THIS PLACE. THE AMAN IS AN EXCEPTIONAL HOTEL. FROM THE BUILDING ITSELF DOWN TO THE STAFF, SERVICE AND RESTAURANT. YOU JUST CAN’T FAULT IT. IF THERE’S ONE PLACE TO STOP OFF AND DUCK OUT OF THE CHAOS THEN THIS IS IT. THIS DELICATELY RESTORED 16TH CENTURY PALACE OFFERS LUNCH, AFTERNOON TEA AND DINNER. I WOULD RECOMMEND BOOKING FOR ANY OF THOSE OPTIONS, WHENEVER THEY HAVE AVAILABILITY. YOU’LL DINE IN MUSEUM LIKE SURROUNDINGS. FOOD AND SERVICE IS IMPECCABLE BUT WITH A RELAXED EDGE TO IT. FOOD HITS THE SPOT ACROSS THE BOARD. BE SURE YOU TRY THEIR SAFFRON RISOTTO AND WHITE TIRAMISU. THIS WAS THE FIRST PLACE WE WERE RECOMMENDED TO TRY IN THE SAN PAOLO DISTRICT AND WITH IT’S MICHELIN STAR IT’S NOT TO BE MISSED. IT’S NOT CRAZY FANCY BUT SHIRTS AND TROUSERS ARE REQUIRED. THERE’S ONE AMAZING SPOT IN THIS OLD VENETIAN TAVERN WHICH OFFERS THE OPPORTUNITY TO BE SAT OVERLOOKING THE WATER. IT’S ALMOST A PRIVATE DINING EXPERIENCE WITH ALL THE OTHER TABLES INSIDE. THE VEGETARIAN WAS WELL CATERED FOR TRYING AN INCREDIBLE CHILLED SPAGHETTI WITH SMOKED AUBERGINE AND TOMATOES. FOOD IS RICH AND COMPLETELY DELICIOUS, ENJOY EVERY BITE. This elegant mode of transport lives up to the majesty and tradition of times gone by in the most regal of fashions. Bound in mahogany and brass with white linens and heavy upholsteries dominating the soft furnishings, this aesthetic sets the tone for the grandeur of what’s to come. We’re entirely seduced by every element of what we experience. With a childlike excitement, we embark the train eager to get this ‘once in a lifetime experience’ started. There is a palpable sense of adventure amongst all the guests. The level of indulgence and decadence that comes with this trip is fit for royalty, and anyone with an expanding waist band! Our cabin is compact and has various wood inspired veneers adorning the walls. The Eastern Oriental Express motif makes a claim on everything from our slippers and dressing-gowns, right through to our leather luggage tags and bottles of water; proudly championing everything it represents. The historic landscape of the train dates back over a century. In some aspects much remains the same, and its this sense of heritage that really is at the heart of the Eastern Oriental Express. Staff members are proud to work aboard this world renowned service and couldn’t be more accommodating or sweet in nature. Our cabin is at the very end of the train, which means we’re next to the observation deck (and lounge), completely ideal. One morning we sneak out at 06:15 on the dot to watch the sun rise, wrapped in our dressing gowns and slippers. Days pass us by as we watch the landscapes change; deep, thick tropical forests, small towns, rivers, rice fields and finally city. All exotic and unfamiliar to the eye. We dine as the sun begins to soften and lower in the sky: another four courses. There will be no point where you experience any pang of hunger as a four course lunch is followed by afternoon tea, and finally another four courses for dinner. Guests are encouraged to dress for the evening meals, and it’s absolutely the place to do it. There’s a real sense of occasion, pride and romance aboard. As we get to know the fellow guests we learn that most are here to celebrate an occasion, whether it’s an anniversary, birthday or like us, their honeymoon. This is no everyday experience. What we also come to realise is that there’s time to sit back, watch the world go by and detach from reality. This is a peaceful haven, where people pensively sip at cocktails, with a book in hand. It hadn’t occurred to me that this had become a rarity for me until now. Our first excursion means we spend one morning roaming the most beautiful of mosques, see the oldest rubber tree grown, view a traditional Malay house plus visit the last reigning Kings memorial museum. The highlight had to be the lunch provided; traditional spring rolls, pancakes and curry sauce (which I even had a go at making resulting in a fifth meal added to the day!). Were it possible to indulge in one of The Belmonds’ train journeys often, I would. 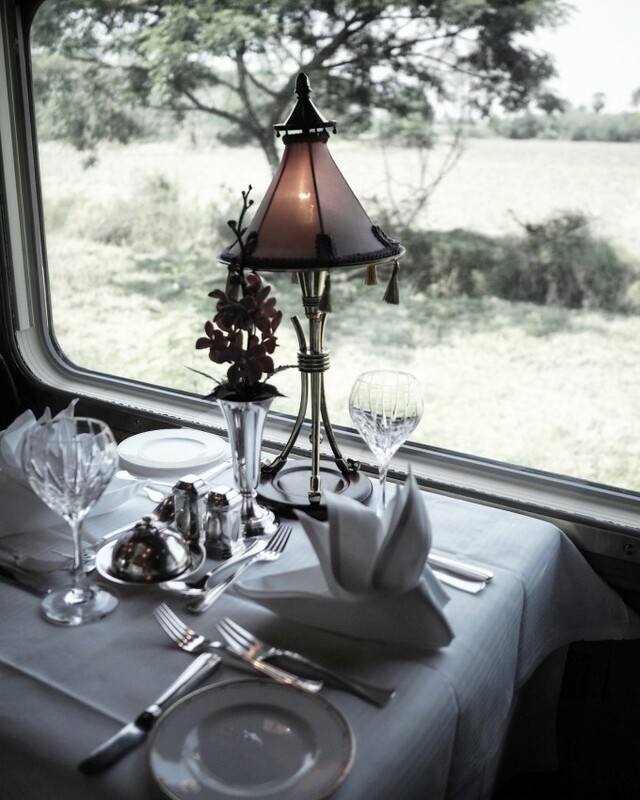 From the dining ritual, the schedule (which includes several excursions) to the experience of a much more compact way of life, it’s a welcome change and one that we eagerly acclimatised to. This slower pace of life, gifting a renewed appreciation of the surrounding environment, is partly what makes these journeys so special. The level of service and decadent dining is what you’d expect – absolutely – but, even still, they seem to exceed themselves. I’ll be gushing about this journey for a long time yet. Anna Barnett falls under Sweden’s spell as she visits self-sufficient farms and takes cookery classes with its top chefs. Recently I took a short hour and a half flight to Sweden and was quickly left wondering why I hadn’t done it sooner. Trips to France, Spain and Italy had always felt more of a natural destination to sample good food, wine and culture. How wrong I was. Upon arriving, we were immediately taught the concept of ‘Lagom’ – the Swedish way of living through ‘moderation, just enough and nothing to excess’ – by our host. So natural for the Swedes, but perhaps trickier for us Brits. I love that this idea extends across every aspect of life – everything is modest, pared-back and simplistic with a focus on quality over quantity. In Stockholm and its neighbouring landscape – the lush, green landscape of Sörmland, you can sample ‘New Nordic Cuisine’ as well as the more traditional, local ones Sweden is famed for. Here are some of the most interesting spots I discovered during my Swedish foodie adventure – from both, equally enticing ends of the spectrum. 72 HOURS IN AMSTERDAM… Whenever I travel somewhere new (or somewhere I haven’t visited since my late teens) my first port of call is always to ask everyone I know and on social media where’s best to head to. CN Traveller will of course provide a great starting point but there’s nothing quite as current as friends or acquaintances that have just got back from there themselves. So here’s my 72 hour edit of fab places to feast, wander and rest your head. AMSTERDAM CANALS… provide much of the sightseeing in Amsterdam, in fact you can’t wander the streets without incidentally wandering along or over the endless canal network that divides the city. The first thing to note is that you can pretty much walk everywhere, so comfortable shoes are a must. COFFEE – Our first coffee stop was at SCREAMING BEANS – This place gets pretty busy so be prepared to wait or sip your coffee on the move or while loitering outside. STAY… We stayed at THE HOXTON which location wise is pretty much bang in the centre of it all. My biggest tip is plan well in advance, everywhere gets booked up so get your reservation made ASAP. Rooms are tastefully decked out and the hotel itself consists of open brick work, glossy white tiles and a bit of sixties vibe. LUNCH….or dinner at BREDA, we actually stumbled upon this restaurant with it’s decor luring us in to take a closer look. It’s safe to say that this might have in fact been our favourite spot. From the decor, almost Parisian in feel, lime-wash walls, green velvet banquette and clusters of soft ball lighting to the friendly staff that were more than accommodating (I had The Vegetarian in tow) and delicious wine list. This is somewhere worth returning to especially if you’re as indecisive as I am when it comes to making menu choices! There’s a set menu which you don’t get to see, you just decide on the number of courses. We started with an amuse bouche of tom kakai inspired carrot soup, a platter of pickled carrots, hangop and nasturtium plus those delicate carrot crisps with carrot hummus and cumin. Next, herring both raw and pickled with smoked sour cream, herring roe and raspberry marinated beetroot. The main combined both rump steak and rib of lamb with beurre noisette and fermented garlic purée. A cheese platter of Comté, Stilton and Limburger followed by a dessert of miso, caramel, Granny Smith compot, buckwheat crumble and beurre noisette ice cream. Four hours of solid walking and a couple of refreshment stops later and we’ve just about managed to walk it off! Just how Sundays should be spent. RESTAURANT DE KAS…This beautiful restaurant is (if you are walking) a good forty five minutes from central Amsterdam. Perched in amongst the rich greenery of the surrounding park is @restaurantdekas – it’s more immediate circumference consists of meticulously kept gardens and the nurseries it draws much of its produce from. This vast space is as impressive as its menu. The lunch service consists of a set menu of either three or four courses of which small amuse bouche are added. A tapioca and mustard seed cracker arrives first, accompanied by a celery dip (completely delicious) freshly baked bread along with garden radish, piccalilli and poppy seed crumble whets our appetite. Our first course is butterhead lettuce, sprat vichyssoise and lovage potato crumble. Green gazpacho of spinach, celery and cucumber with goats cheese mousse, chard and puffed bulgar follows. Catch of the day arrives baked in basil leaves on brick pastry with ratatouille and fresh sweet cherry tomatoes. Dessert comprised of marinated cherries, almond creme, puff pastry and verbena yogurt ice cream. Wine pairings available but my main advice would be to turn up hungry! The hugest seafood platter at STORK for dinner, oysters, razor clams, mussels, clams and prawns. A short (& free) ferry ride took us off the mainland (central station) to the north banks of the river IJ where we sat for hours, watching the sun finally set late into the evening. The endless stream of boats pass us by as I attempt to get through this enormous platter. This is a great place for big groups,, the gargantuan restaurant is the old Stork factory so there’s a short walk through an industrial park to get you to the banks of the river. Be warned it’s all about the seafood, enormous vats of mussels to share arrive on the table next to us, whole fish and platters of oysters fill the tables. The Vegetarian (husband) really had to take one for the team here..the chips are pretty good though! It’s an all avocado menu at THE AVOCADO SHOW in the De Pijp area of Amsterdam. Guaranteed to make you wait, this moderately sized restaurant just off the main drag has a constant queue. Catering for vegans, vegetarians, pescatarians and everyone else that has a passion for avocado! Popular dishes include the instagram famous avocado on toast and the avocado burger ‘Bun Burger’. I however opt for the Poké bowl, a Hawaiian style raw salmon, wake seaweed salad, fish caviar, sushi rice and avocado rose bowl. There’s also dessert which includes a handcrafted avocado sorbet, The Blind Date, their signature dessert with dates, avocado citrus and anise seeds and The Next Level Mousse, layered dark chocolate, banana and avocado mousse. It’s pink velvet seating and plenty of botanical touches make for the perfect breakfast or brunch spot. Also in the Pijp district which definitely has a Brooklyn/ NY feel to it is this sweet breakfast or brunch spot. This too is somewhere worth turning up to early. They’ll take your number and text when your table is ready. Serving an assortment of brunch favourites and great coffee, it’s worth waiting for. 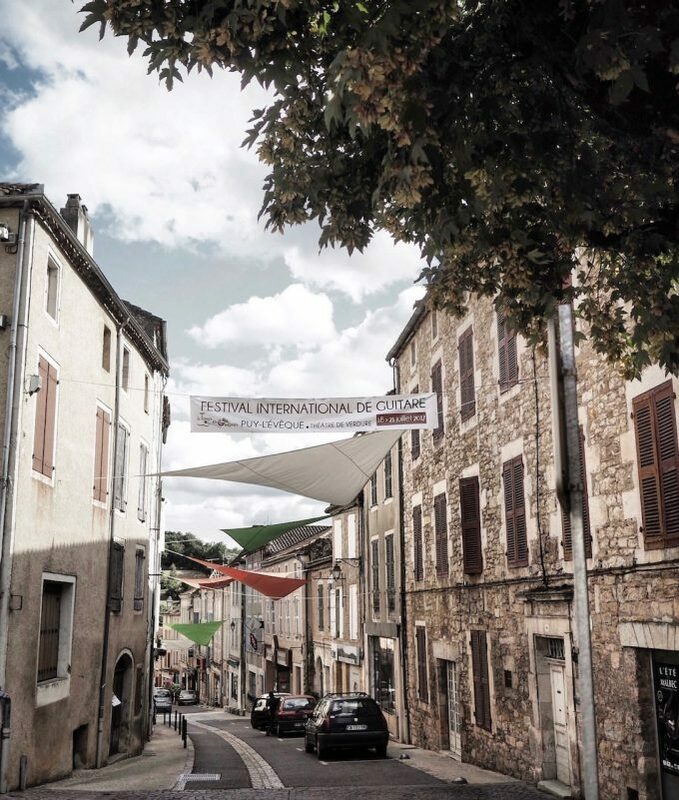 We head to just outside of Bergerac, south-west France. Our residence for the week is a stunning old converted mill. The bedroom window opens out over the running water that passes through the still working mill beneath the house. We drive through endless sunflower fields as we draw closer to our destination. The old mill sits by itself within the wheat fields that surround it: picturesque and modest at a first glance. On our first night we head out laden with an assortment of French goodies as the sun begins to lower in the sky. Cheese, bread, wine and charcuterie with plenty of cornichons weigh down our baskets. We pitch up just beyond the stream with children and dog in tow. The complete calm and serenity of this area lets nature take centre stage. The constant hum of crickets, local birds and dark starry nights are a welcome addition and a far cry from our hectic London lives. We venture to a nearby restaurant, just outside Puy L’Eveque. A fifteen-minute drive amongst endless rows of vineyards. Golden hour is upon us and we’re in awe of this incredible spot. Part of the main courtyard consists of an open barn style structure, which is where we dine, others sit beneath the enormous willow tree that dominates the other side of the courtyard. Food has a European focus and is made up from as much local produce as possible. Wine is of the same ethos. The key is to go local with whatever you can. It’s all completely delicious and the staff will happily guide you through the wine list. The local market in Montcuq offers an incredible bounty of freshly grown produce. An abundance of cheese, pastries, breads and specialist charcuterie make us keen to plot out our meals for the week ahead at the mill. This is a region of France where wine, cheese and charcuterie are to be appreciated. It’s no wonder that the French are proud of what their country produces, I could easily live off this wealth of produce and quality produce at that. The endless small towns we wander through, old cafes, brocantes and restaurants all with endless charm and steeped in history. This is a part of the world where you can’t help but be seduced by. Le Mariottat in Agen, a nineteenth century mansion serving a Michelin starred seasonal French menu. Offering both a tasting menu and menu de marché. The freshly baked, warm Madeleine’s and petit fours are worth the visit alone. We board Celebrity Cruise ship ‘Reflection’ after a short transfer from Rome; setting sail into the thick balmy afternoon air. Our direction takes us out along the jagged Mediterranean coastline then out to a vast expanse of ocean. This is our first ever cruise. We’re unsure what to expect…an enormous floating hotel with anything and everything you can think of in one sprawling space that, incidentally, gets you from one brilliant and totally stunning location to the next…in a nutshell that’s what it is it but it’s this and so much more. This particular Celebrity Cruise ship spans 15 decks (there’s no deck 13, which took a while to register!) Each floor surrounds the central atrium where glass fronted lifts spend their days carting people between levels. This is also the spot which really makes you contemplate the sheer vastness of the ship; from the ground floor right up to the top deck where you can view its journey. We board and spend the first two hours exploring each floor, restaurant, and bar. We locate the gym (where we proudly start each day,) the sauna is impressively glass fronted and ocean facing and the basketball court (although this goes unused it’s good to know it’s there!!). There are two swimming pools; one inside and one out. Additionally, there is an enormous theatre space, retail shops, outdoor cinema and a top deck devoted to sunning yourself. There’s also a library, a games hall and if there’s anything I’ve missed it’s guaranteed they have that too! Our room is moderately sized, bright and functional. We excitedly embrace the private balcony where sun loungers and a breakfast table make our little abode for the next few days that bit more exciting. Day one is all about settling in, finding our bearings and getting stuck into the onboard cuisine. We first sample the highly recommended Sushi on Five (floor five) restaurant. The vegetarian (Husband) is more than catered for (they even have his dietary requirements noted) and offer up some alternative options before he gets a chance to request them! The food here is great: it’s fresh vibrant produce that’s been whipped up while we wait. The wine list is pretty great here too!! Day two brings with it an early morning wake up in Cinque Terre. As the sun rises so do I, just in time to watch the Italian scenery draw in closer ahead of our arrival. We have an entire day to spend exploring this infamous stretch of coastline. We’re excited! We stay committed to our morning routine, with the husband heading straight out to the gym and me pitching up with my yoga mat out on a deserted front deck. Al fresco yoga, sauna and fruit smoothies for breakfast allow for (and counteract) the indulgence that’s to come. Once we disembark mid-morning, we jump on the local train and hop between ports, stopping at one,Monterosso for the most incredible swim in crystal clear water (this is a must) followed by a glass (or two) of local prosecco up in the old castle. The view here is incredible with ocean views not to be missed! We then hop back on the train for our lunch reservation in Riomaggiore at Gamblero Rosso; incredible local and freshly caught seafood. I have anchovies cooked four ways ahead of a classic vongole while the husband goes for a local sweet walnut ravioli. We exhaust ourselves in amongst the rich green ancient coastline that connects these small ports before heading back to the ship where dinner comes rounds all too quickly. We sip yet more prosecco (making the most of our holidays) as we leave the coastline behind us and once again head out for an evening at sea with the boat sailing towards our next destination. While I wait for the husband to get ready ahead of dinner (it’s usually this way round!!) I make the most of our balcony and, to my utter surprise, spot dolphins swimming alongside the ship. I inevitably squeal more than loud enough for the Husband to hear and come racing out and see them too. Quite a spectacle and so exciting to see! Inevitably we then proceed to spend our entire meal trying to spot more and discussing our sighting! We dine at Murano, the French style restaurant that without doubt is our favourite. They pull out all the stops (not just for us but for all the diners). Flambé lobster is a speciality that perhaps only the Husband (vegetarian) leaves without trying . The dishes are French classics with added wow factor, beautifully cooked and artfully presented. This is refined cuisine, a carefully curated menu that really does go the extra mile. We opt for the wine pairing menu and happily let the sommelier woo us. We later even view the impressive wine cellar that boasts an endless collection (over 1600 bottles) of premium and vintage wines. At this stage we’re now both excited to be onboard and exhausted from everything we’ve managed to pack in. The next day we once again rise just early enough to see the ship approach the harbour of Ville Franche. We continue with the early morning routine we’ve committed to and feel good for it! Our third day consists of a kitchen tour. We meet the head chef that leads an incredible team of 275 chefs. We are given a tour of the 16 kitchens which span several decks and attemptto comprehend an almost incomprehensible operation that the chefs relentlessly work to, day in, day out. Feeding 1600 guests over an hour then doing the same just an hour later, day after day, plus catering for all the speciality restaurants completely blew our minds! The immaculate kitchens that are run with a military organisation like which you’ve never witnessed. This gargantuan undertaking of feeding all aboard and to such a high standard is truly awe inspiring. It’s mad in fact!!! So impressive!! We’re borderline speechless! While on board we also sample Ocean View Café where food is served buffet style through the day. We even pass by the silent disco which is always brilliant to watch. And naturally we try out their Tuscan restaurant. My love for Italian food is huge! Portions are generous, fresh and tick all the boxes. With every meal we’re surprised by how intimate each restaurant feels, (other than the super sleek white wash two floor main dining room) the restaurant seats around 200 people but manages to feel even more intimate and that absolutely appealed to us. Our final destination is Barcelona. We’re eager to disembark to meet friends for a late lunch in one of our favourite cities. We can’t wait to sit by the beach and eat endless freshly made paella. Ahead of our lunch we head out on the Chef’s market Discovery, the head chef accompanies us to the local and largest food market in Barcelona. Situated just off Las Ramblas the chefs take us round their preferred stalls, talks produce, quality and what to pick up where. Food is bought and will be prepared for a bespoke dinner for guests that evening. For any foodie who is experiencing Barcelona for the first time it’s worth signing up for. Throughout our entire stay (we did half of the Mediterranean cruise offered) we found ourselves becoming more and more fond of this incredible way of holidaying. It’s so rare that you can get around to as many different countries, experience such varied cultures, landscapes and cuisines so easily. You can absolutely see why people holiday this way, time and time again. My excitement for the forthcoming launch of Celebrity ‘Edge’, the brand new and very design led ship which is launching this December has definitely been compounded by this trip….stay tuned!!! Food lovers rejoice! Skåne; Sweden’s most southern peninsular is a food lovers haven and a destination that offers a full sensory overload. For many the dining experience isn’t solely about the food on your plate, it’s about the full experience and Skane offers first class dining in hugely varied but always beautiful settings. 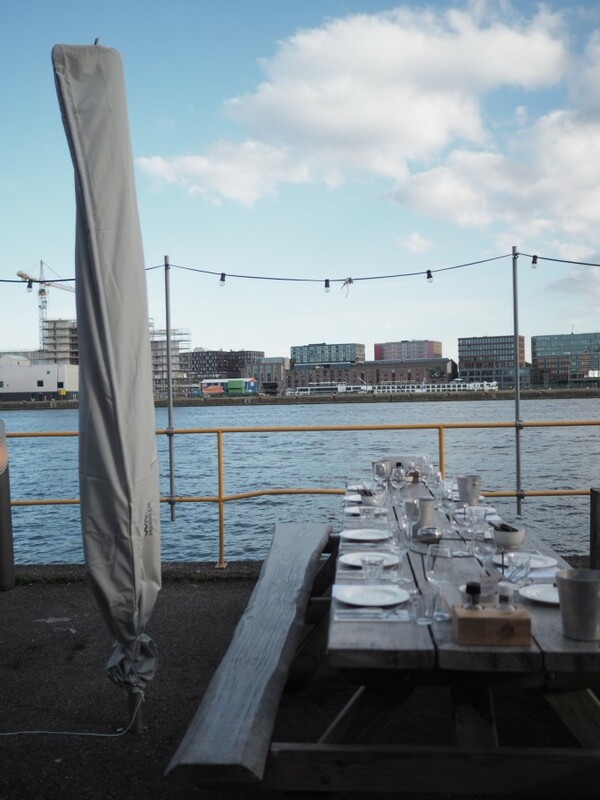 From the stunning Vollmers, the two Michelin star restaurant in Malmö, to wild weekend camping and outdoor cooking at Nyrups Naturhotel, there is something for everyone. There’s intimate dining at the incredible coastal Köksbordet and a restful and rejuvenating stints available at the Ängavallen Farm & Hotel. The charm, hospitality, innovation, passion and respect for everything consumed is consistent and evident throughout the region’s best foodie destinations. Just a short flight to Copenhagen and an even shorter train journey will have you at the heart of Malmö in time for lunch: A perfect place to start your discovery of all things Skåne. Below are the best places to eat in Skåne. A short walk from Malmö train station, Hotel Duxiana offers a very laid back experience to all who stay. Proud producers of extremely comfortable beds, it goes without saying it’s one of the best places to rest your head in the city. Rooms are pared back, tasteful and without chintz or fuss. Think Scandinavian design but with extra cushions! Being situated moments from the centre of Malmö means it couldn’t be more conveniently positioned. Gorgeous coffee shops and restaurants are a mere stones throw away. 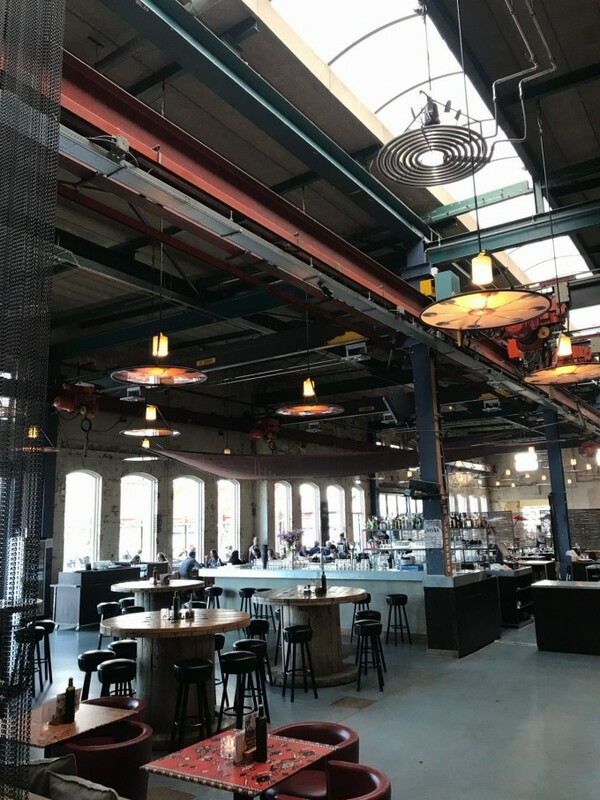 For those that like plenty of options or to graze while they wander, the newly refurbished goods warehouse; Saluhall is home to a very select group of retailers. From incredible butchers and fishmongers to a pizzeria (Hedvigsdal pizzas are a must try), ice cream, cheeses, burgers, bakers… you name it, they’ve got it. Very much Swedish in its beautiful design and sympathetic to the buildings origins, this is a place you could lose hours in. There’s plenty of seating areas and more formal restaurants within the space. Whether doing the weekly shop or popping in for a lunch or dinner, Saluhall has it all tastefully covered. Having been awarded two Michelin stars, this restaurant is a must when visiting Malmö. Serving staff, chefs and sommelier make this an exceptional experience that you won’t want to end. It’s intimate, original, passionate and innovative approach to the cuisine it serves is exciting, every course is intriguing and completely delicious. Service is of course formal and on point but friendly and relaxed in the same breath. We’re taken through course after course with incredible wine pairings that rouses a similar intrigue to the food. It’s absolutely apparent you’re dining somewhere special here. With a vision for zero food waste and a passion for locally grown produce Hörte Brygga is not your traditional restaurant. Its setting is moments from the coast and come the summer months they serve over four hundred customers a day. By winter when the temperature drops they offer a much more intimate and refined approach to dining. Seasonal tasting menus which change daily and cater for up to twelve guests an evening mean that you can really experience something totally unique and entirely special. Run by a husband and wife team this restaurant absolutely needs to be on your list whichever time of year you visit. An inspiring place where ecology and gastronomy go hand in hand. This family run guesthouse and farm not only offer a retreat from city life, but offer an insight into farming, animal welfare and living off the land. The restaurant here is exceptional with most of the produce grown or reared on the surrounding land. A passion for and agricultural responsibility is at the forefront of this working farm. With a obsession for traditional Skanian cuisine, this restaurant manages to create a menu that stays true to the region’s most loved dishes whilst also focuses on sustainable produce. Warm and informal, this restaurant also serves up packed lunches using its leftovers for those on a tighter budget. Sunday brunching is a big thing here and the DIY buffet really pulls in the crowds. For those wanting to really connect with the outdoors and get hands on with local produce; this is the place to do it. Navigate your way into the woods, where if like us, you’ll eventually find your camp for the weekend. Dinner is cooked on open fires and we’re taught how to make fire pits to wrap, bury and bake fish. You’ll be completely seduced by Sweden’s answer to glamping. 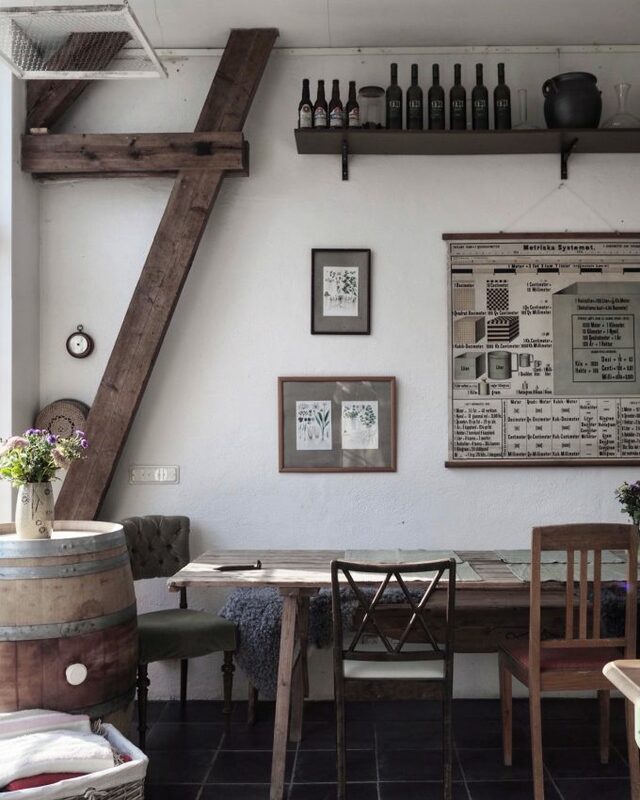 Here, a husband and wife team open their home and vineyards for enthusiasts to visit. Being the most northerly positioned vineyards in the world makes for an interesting story and unique tasting wine. The family estate, owned for five generations relies on the microclimate provided by the proximity to the Baltic sea. This too is a beautiful spot to visit, set in gentle, rolling hills where you can sample both the wine and local cuisine. Marrakech is just a mere three and a half hours from London and for the most part it boasts a much more reliable forecast than the UK can offer (although not during the occasion we visited)! It is a city where the Atlas mountains provide the backdrop to most views and where accommodation covers both boutique, refurbished raid city escapes as well as decadent, vast, sprawling luxury hotels dotted in the surrounding areas. Here I share some of my favourite hotels set both inside the historic medina and out. I’d recommend mixing it up and combining the two for the ultimate Moroccan holiday experience. This might just be one of the most idyllic places we’ve stayed in a long while. Just beyond the walls of the historic Medina and tucked away behind several dark twists and turns lies the kind of tranquil oasis we all dream of retreating to. It offers a respite to the hustle and bustle of the Medina through peach walled, colonial inspired open courtyards laced with orange trees, punctuated by blue shutters that lead you off into the private suites; all which have roll top baths. This is the sort of haven you’ll struggle to leave. Breakfast is served (should it not rain as it did for us) on the rooftop which is as pretty and pleasing as the rest of the adjoining Riads. Food must be pre-ordered if you’re dining in for lunch or dinner but it is absolutely worth doing so. Informal, charming lounge areas are dotted in amongst the buildings many sun drenched floors where meals can be served. Food is considered with a focus on quality fresh produce. Design and understated elegance is at the forefront of this hotel and we’d book it again in a heartbeat. The latest design project from Jasper Conran means you can expect his signature on point yet understated design with flashes of colour. With a mere five suites on offer, this place understandably gets snapped up quickly. The 19th century Riad subtly resides beyond a maze of pinkwash pathways in the heart of the ‘red city’s’ Medina. Each suite is nestled around a vast open courtyard with statement greenery and is luxuriously large, coming with a draped four poster bed and bringing together both modern design and traditional Moroccan antiques. The restaurant and food offering (which is open for non-guests to book too) is an experience worth treating yourself also. Both our vegetarian and fish tagines were amongst our favourites we tried. Homemade rose harissa and green harissa served as an accompaniment to the grapefruit puy lentil herb infused salad, which made for a welcome change to predominantly meat heavy menus we’d experienced elsewhere. With all ingredients being sourced locally and largely focussing on vegetarian cuisine, this was an especially exciting visit for The Vegetarian Husband. If the weather does fail you, book the spot by the fireplace. This place is heaven! It’s hard to not fall in love with El Fenn. It’s charming in every sense and it would probably be fair to say they know it! Awash with Moroccan tiles, tadelakt walls and vibrant upholstery, even the corridors will have you cooing. The palatial rooms are individually designed and predominantly colour coded, so expect a brave wash of all pink, soft peach or dark navy. Design is bold and daring but in the most enticing and successful way possible. Behind the curated 28 rooms is both Vanessa Branson and Howell James who began restoration back in 2002. The roof terrace is the place to watch the sun disappear beyond the busy horizon and throughout the next few months they’ll also being playing host to resident chefs, mixing up the menu and offering some much appreciated variations on the traditional tagine. They’ll also be bringing with them an assortment of exciting cocktails, DJ’s and talks from inspiring designers, artisans and entrepreneurs. La Sultana is situated in Kasbah just a ten minute walk to the main square and UNESCO World Heritage site; Jemaa El Fna. The square is an experience in itself and not one for the faint hearted. At the foot of the square there is still evidence of morally questionable snake charming and monkeys performing for tourists entertainment but this can largely be avoided. The rest of the site really i an experience to behold with a abundant food market offering the chance to eat good honest local food whilst listening to raucous live music. From the sprawling rooftop at La Sultana you can indulge in panoramic views of the city, where you’ll hear no more than the call to prayer. The hotel which consists of five Riads in total; all very unique in design, makes for quite the place to explore. Decadent and ostentatious in parts, this is a feast for the eyes. Indoor garden courtyards, a swimming pool and spa will all keep you well occupied. Rooms are large but I’d recommend requesting one on a top floor for optimum privacy and maximum daylight. Cookery classes are also a must here. For those with a family or those wanting a more private and peaceful time then one of the serviced villas on the private eight villa estate of Bab Adrar ticks the box. Remotely situated a thirty-minute drive from the country’s capital and with all vistas directed towards the horizon of the Atlas mountains; this luxury villa has five double bedrooms and several terraces all laced with olive trees. There’s an enormous spread of grounds to play host as well as private pool and numerous outdoor seating and dining spots. It’s luxuriously decorated with tasteful nods to both Moroccan and French design with many interesting artworks on show. Staff are on hand to cook, clean and assist with any requests which makes for the most relaxing of experiences. A short drive from the bustling centre of Marrakech is the Beldi Country Club. On arrival you’re greeted by an entire field of roses in every which colour. The sprawling landscaped grounds play host to 38 suites which are pared back, Moroccan in style with a French influence. Olive trees and cacti guide you around the 14 hectares that host numerous restaurants, pools and the most incredible Riad and large Ksar; a greenhouse like structure drenched with plants. It’s perfect for large events or dinners. The onsite souk shares a very curated offering of Berber wares; textiles, wicker, glass wear (all blown onsite), rugs, pottery and clothing and although not as cheap as you’d expect it is hard to resist! So, having finally quit my job, leaving the world of fashion behind me I’m now fully embracing all things food. The book is finally out there and on the shelves to buy (Eat the Week, you’ve probably seen me mention it once or twice) and I’ve been busy catering private press dinners dedicating all my time to cooking. In bigger news I’ve turned 30 which I managed to see in through a string of long lunches, dinners and heavy boozing that spanned across two weeks and included a celebration in both NY and several in London. However … There’s one last lunch that consists of a 9 course tasting menu from the current second best restaurant in the world, Osteria Francescana in Modena. If like me you’re completely obsessed with the Netflix series; Chef’s Table then you’d be as excited as I am about this final celebration into my 30’s. What’s even more exciting is that Massimo Bottura, Author of ‘Never Trust a Skinny Italian Chef’ (it’s all making so much sense why he’s such a hero) will also be serving up a full vegetarian tasting menu too (for the boyfriend) so I’ll technically be tasting over 18 dishes and finally getting to dine out and really enjoy a meal with him. Naturally it then made sense to finally plan our Italian road trip around a long (and probably the best) lunch out. We’ll be starting by flying into Verona and staying near Lake Garda for 2 nights in the Bardolino region. In need of some rest and recuperation, we’ve opted for an old rural farmhouse with views of Lake Garda and in walking distance to the lake. We were pretty late in booking somewhere and there’s seems to be some sort on conference or something taking place that weekend so we’re not as close to the lake (i.e right on it) as we wanted to be. That said this place looks perfectly low key, rural and super nicely decked out, perfect for our first stop off. More details to come…. Next up we’re heading over to Portofino for two nights of living the dream at the Belmond’s seaside retreat. My plan is to swim in the infinity pool overlooking the port both mornings, specifically making room for more pasta and red wine. There’s also a little private beach only accessible by boat which has a couple of restaurants to eat at. This is definitely on our to do list. The main formal dining room looks so beautifully traditional and luxurious, specialising in local dishes and traditional Italian cuisine. It also has the most incredible views of the harbour as it’s set up in the hills of Portofino. From here we’re driving directly to Modena to eat at Osteria Francescana (for the meal of our lives!!) before going onto Florence for just the one night (we couldn’t skip Florence as the boyfriend has never been and I’ve only ever done a flying visit). We’ll be staying pretty central, it made sense to being as we’re there so briefly…J. K Place Firenze is modern and luxuriously decked out and positioned in the heart of it all, just a few minutes walk from Santa Maria Novella Basilica. We’ll also be trying out their Tuscan inspired menu, on the terrace overlooking the piazza. Situated again right on the coast a little further south from Positano this is where we’re setting down for 3 nights with the aim to explore Positano, Praiano, Ravello and Amalfi. We have an afternoon planned in Ravello at The Belmond, they have the craziest infinity pool and outdoor lunch area so we’ll be sunning and feeding our faces there one afternoon. We’ll be eating in the gorgeous Rossellinis in Ravello, trying out there Michelin starred a-la-carte menu along with wine pairing. While looking down onto the Amalfi cost. The views from the restaurants terrace are supposed to be incredible. Palazzo Avino is a 5 star hotel set in a 12th century villa perched on the cliffs of the Medieval town of Ravello. Our final stop is 2 nights in Monopoli, in the southern region of Puglia. We’ve previously taken a day trip to Monopoli and fell in love with it. Set within the walls of a old fortress this small town is packed full of history, it’s also set within a stretch of the Adriatic coast which has some of the most amazing white sand beaches. Three years in the making and Celebrity Cruises launched its highly anticipated ship; Celebrity Edge. The latest addition to the fleet comes with an array of well-known architects and designers attached to the project and brings cruise holidays very much into the 21stcentury. To celebrate the launch Celebrity enlisted the brilliant, brave and pioneering Nobel Peace Prize winner Malala Yousafzai to be the godmother of Edge.The dramatic and action packed naming ceremony brought together Malala and Grammy nominated Andra Day to celebrate and mark the occasion. Various blessings were made over the ship whilst the traditional smashing of a champagne bottle across the ship's Parabolic Ultra Bowwas swapped out for an 18 litre bottle of Badoit water. There was much talk of equality and equal opportunities which Celebrity very much champion. Over 30% of their workforce as well as three of their captains are female and they look to continue to expand on this. They currently hire 50% more females than any other cruise-ship company! As for the ship, after much excitement and many shared teaser images there was a keen gaggle of press waiting to explore and run amok. We were let loose and were all desperate to see the Kelly Hoppen designed infinity style suites that take your eye from the bed directly to the ocean with all suites even offering your very own veranda and some a personal hot-tub! 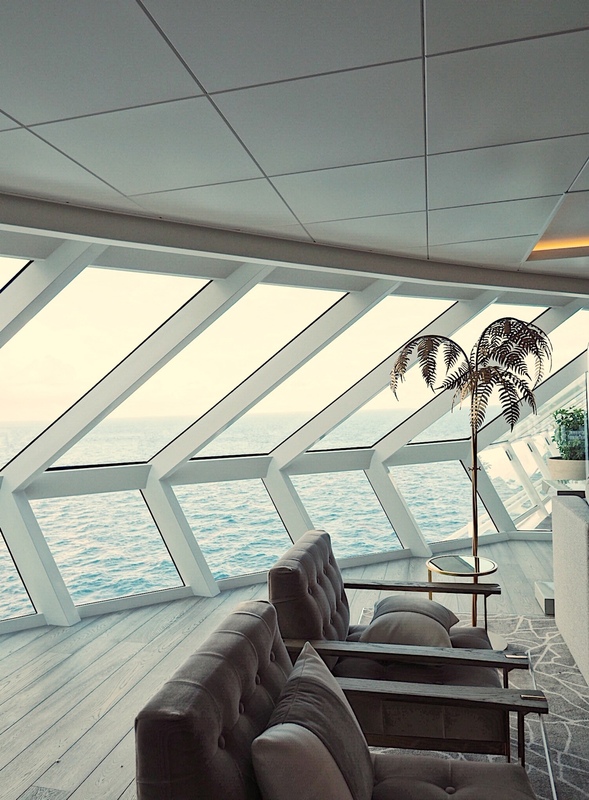 The suites (some spanning across two storeys) are plush, minimalist and nothing like what you might imagine your average cruise ship to look like. In fact that could be said across the board for this very modern ship. Kelly brings a classic sense of timeless style to these luxury suites, from maximising the ocean views to bring as much light into the spaces as possible to the finer details within. Think marble bathrooms, full-size bathtubs, open plan living rooms that make this feel more like a New York apartment than a suite! Kelly Hoppen was also responsible for the design and styling of the outdoor space reserved for the top tier guests. Muted tones of grey adorn the space with a constant focus on vistas, space and calm. This oasis offers a small pool complete with hanging chairs for those extra hot days and Caribbean cruises! I should also mention how brilliant and revamped the staterooms are. Where the balconies used to be accessed through double doors, the balcony is now part of your room and offers far more living space and privacy with an entire floor to ceiling window that lowers halfway down. The entire wall of glass brings plenty of light and a sense of space into the room where guests can also enjoy a sofa area, dressing table, and a more than generous enough bathroom as part of the package. The sense of luxury hasn’t been bypassed and these calm havens with a new approach to the classic ocean view are a brilliant addition. 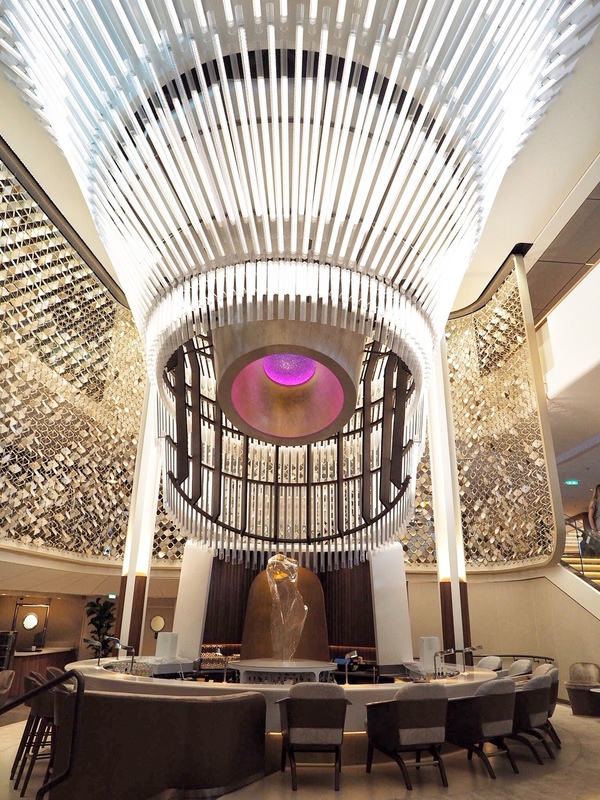 The absolute wow factor on Edgedoes however belong to the ‘magic carpet’; a floating bar and restaurant that travels up and down all 15 levels of the ship. It’s both bonkers and amazing! The ‘magic carpet’ offers a huge sense of excitement for diners and will provide additional space for the numerous restaurants across all the levels residing at a different restaurant each day of the cruise. Be sure to book your coveted spot in here on day one. In terms of the restaurants available, my personal favourite had to be Sushi On 5 and this really was the most incredible meal we had during our brief stay. Japanese chef Yoshikazu Okada heads up this restaurant and brings with him an incredible breadth of experience, not to mention fresh wasabi root! We were utterly spoilt for choice. The wine pairings were also spot on and had we had more time we could have sampled both the vodka and champagne pairing too. The sense of variety on board is enormous. There are bundles of areas to explore and it really took us a while to get our bearings! From the theatre through to the enormous all day buffet, via the spa, shops, as well as the indoor and outdoor pool areas, table tennis, running track…it’s all been covered! Ultimately there was just not enough time to get around everything, (our brief stop off at the martini bar was a great choice however) but I’d need a good week or two to really get to explore and make the most of it all. There are so many restaurants to sample, bars to kick back at and pools to swim in and that’s before you add in arriving at brilliant locations each day! Edgehas been designed for the millennial explorer, both aesthetically and by going above and beyond with its experiential offering. I’m sure Edge will be another huge success and it’s an exciting time for Celebrity!